Martina and her family warmly welcome you to their home, where they wish you a pleasant stay in the heart of the Doolin village. Suantrai House is a spacious and comfortable bed and breakfast overlooking the Aille river. It is the perfect location for any visit to Clare, whether it is to enjoy the breathtaking scenery of the area or you just need a place to rest for a night while on a short visit. We cater for singles, couples, families and small groups of visitors in our various comfortable rooms. Doolin has a reputation the world over as the home of Traditional Irish music and is a must if you are touring Ireland's west coast. The famous Cliffs of Moher are a mere eight kilometres away with a scenic walking trail from Doolin all the way along the cliff edge. You can take a boat trip to the Aran Islands or along the base of the cliffs from Doolin pier, a short distance from Suantrai House. Three kilometres north is the amazing Doolin Cave and the beautiful Burren landscape. Other local attractions include pitch and putt, swimming, horse & pony riding, cycling, fishing, hill walking and rock climbing. Your evenings, signalled by the fantastic Atlantic sunset, can be spent enjoying the traditional nightlife while being entertained by Irelands finest musicians in Doolin's famous pubs, where you can also get a bite to eat. There are lots of dining options in Doolin, fine dining, bistro and bar food just a short walk from the B&B. This all serves to make your stay in Doolin memorable. The Doolin Folk Festival is on from the 15 - 17 June and the Doolin Craft Beer and Roots Festival will take place from the 25 - 27 of August in Hotel Doolin's marquee, just 2 minutes walk away from our bed and breakfast. Also the Doolin Harley Festival takes place from the 1 ,- 3 September in Hotel Doolin just across the road from Suantrai house. Cliffs of Moher Walks & Cruises: Pat Sweeney's Doolin Cliff Walk starts each morning at 10am from Fisher Street. Walk along the edge of the cliffs to the Cliffs of Moher Visitor Centre. There are daily cruises along the base of the Cliffs of Moher from Doolin Pier. Only a 5 minute drive from the bed and breakfast. 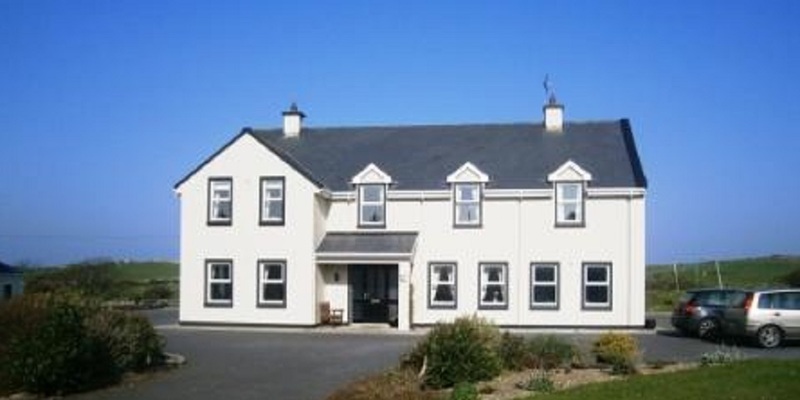 There are four well known pubs in Doolin with Traditional Irish music every night of the week just a short walk from this B & B.